Professional photographers can finally rejoice as after a painful four-year wait, Canon has announced the EOS 5D Mark IV DSLR, which is the successor to the much-loved 5D Mark III. The new model brings with it 4K video recording and Dual Pixel autofocus for much better video capabilities. It will be available in India from the first week of September at Rs. 2,54,995 ($3,499) for the body only, Rs. 3,06,995 ($4,399) with the EF24-70mm f/4L kit lens, and Rs. 3,24,995 ($4,599) with the EF24-105mm f/4L IS II USM lens. 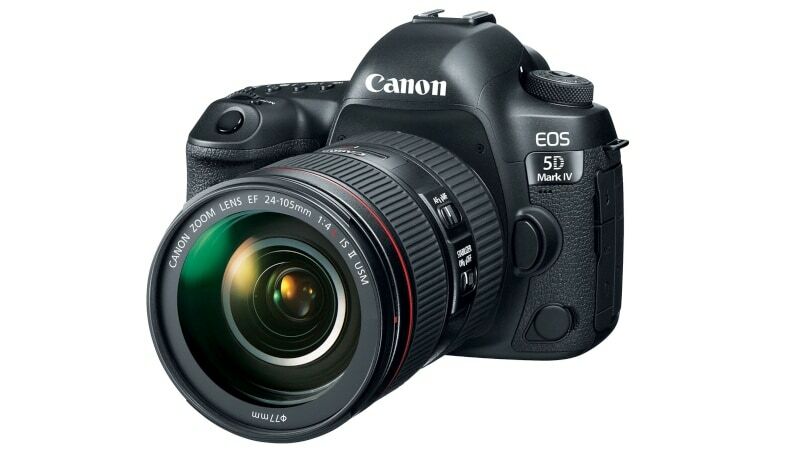 The camera boasts of a 30.4-megapixel full-frame sensor along with the Canon’s Digic 6+ image processor. Other features include ISO range of 100-32000, 7fps burst mode, video recording up to 4K at 30fps, Wi-Fi b/g/n, GPS, NFC, and USB 3.0. The camera has a 3.2-inch fixed touch-enabled LCD display 1.6 million-dot resolution. The body is built from a magnesium alloy for added durability. Along with the new camera, Canon also launched two new L-series lenses – the EF 16-35mm f/2.8L III USM ultra-wide zoom lens and EF 24-105mm f/4L IS II USM standard zoom lens. The most interesting thing about the 5D Mark IV is its new proprietary Dual Pixel autofocus system, which now allows for quicker continuous autofocus in video mode. With the added phase detection autofocus, you can now simply tap the display in live mode to switch focus when shooting stills.